This month is National Share-A-Story Month, an annual celebration of the power of storytelling, run by the Federation of Children’s Book Groups. 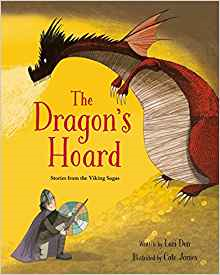 With this in mind, I’ve taken a look at what resources are available for teachers looking for folk tales to use in the classroom. The University of Cambridge has collaborated with Daniel Morden and Hugh Lupton to produce some fantastic audio tellings of classical tales, created specifically for the classroom environment. The story of Odysseus, the Trojan War, Metamorphoses Tales and Aesop’s Fables are all featured and there are some great teaching activities, visual aids and links to the curriculum on the website. If you are planning on teaching any of these tales, I would highly recommend these resources. www.surlaLunefairytales.com is another wonderful online resource for teachers exploring traditional tales. There are over 1,200 full text tales available, with a brief history of the literary version of the fairy tale also included. The website links individual fairy tales with similar tales across other cultures. Teachers who wish to research the history of a particular fairy tale, or find a new fairy tale to share with their class, would find this website very useful. In 1996, Elizabeth Laird set up the Ethiopian Story Collecting Project, which had the aim of producing story books in simple English, so that school children in Ethiopia could practice reading English while learning stories from their cultural heritage. This project has led to a collection of Ethiopian folk tales being available online. Teachers covering lessons on African culture would find some lovely African folk tales here. The Federation of Children’s Book Groups has compiled booklists of storytelling resources, competition ideas and teaching resources on their website, to celebrate National Share-A-Story Month. They can be accessed at: http://www.fcbg.org.uk/national-share-a-story-month. 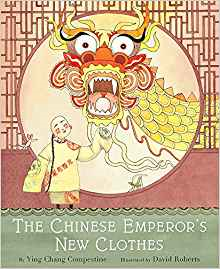 This is a retelling of Hans Christian Andersen’s The Emperor’s New Clothes. Ming Da becomes emperor of China when he is only 9 years old. His ministers take advantage of him, stealing rice, gold and precious stones. But Ming Da comes up with a plan to outsmart them and save his country.The book contains beautiful illustrations, including a double page spread depicting the Chinese New Year parade. 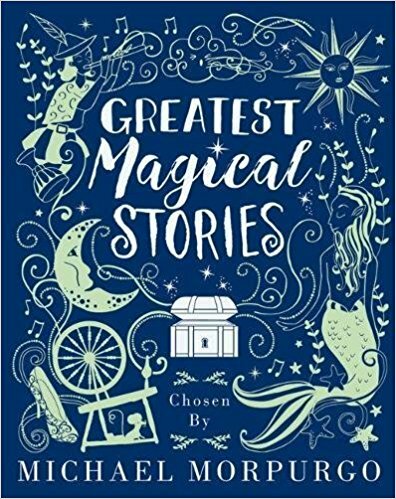 This book is a collection of 12 folk tales retold by various authors and combined with stunning illustrations. Each tale has a note preceding it, giving some information about the story and its origins. The collection includes stories from Scotland, Germany, Norway, Japan and England. From Sleeping Beauty to Cinderella and The Merman to Yoshi the Stonecutter, there is a great selection to choose from. That’s a quick look at some of the folk tale resources available for teachers both online and in print. If you have a favourite resource that you use, please let us know. Posted on May 14, 2018 by Laura Brett. This entry was posted in Focus on folklore and tagged Folklore, Primary. Bookmark the permalink.